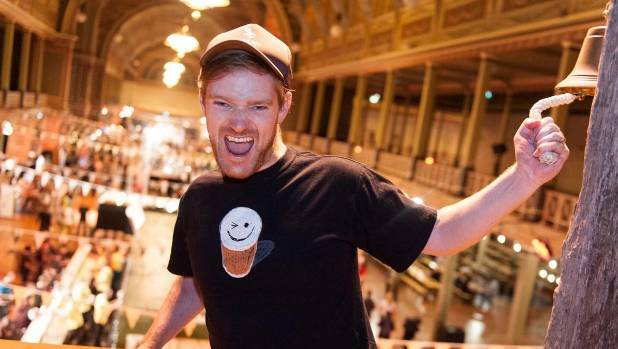 In the first of our summer guest blogs, Yeastie Boys co-founder Stu McKinlay muses on how every neighbourhood could soon have its own brewery. Yeastie Boys benevolent dictator Stu McKinlay believes the number of small breweries will continue to grow. OPINION: The beer world is changing. After decades of most countries' brewing scenes being dominated by a few players, we're seeing a major explosion in the number of breweries. This is not just a New Zealand phenomenon, nor is it a western hemisphere one; it's happening from South America to Asia, from Europe to Middle East. Initially this happened in one or two countries, with the United States of America really leading the way from the late 70's and early 80's. What we now call "craft brewing" was then known as "microbrewing". There were dozens of breweries in New Zealand and Australia that are now little more than distant memories, faded pages in old books. Some, like Mac's, succeeded. Stu really does seem to like ringing bells. In a few countries these ventures were aided by government interventions, such as United Kingdom's progressive beer duty (where breweries producing under 500,000L per year only pay half of the alcohol excise tax). The big players tried to fight this rising consciousness of better beer by importing, and then brewing under licence, so called "premium beer". Beers like Stella Artois, Beck's and Heineken. And, of course, by buying those microbreweries that were the most successful. Read the full article and bring a brewery to every corner!